While the EU continued the protective status of the wolf in Europe earlier this month, Norwegian wolves are threatened again. We recently shared the good wolf news in November, including the news of Norway’s ban on wolf culling. Earlier this year, for the second year in a row, the Norwegian government allowed wolf culling of 50 individuals. The proposed numbers would almost entirely exterminate the population. If hunters meet the culling quotas, the remaining individuals will face immense pressures and risks for continued survival. Recent studies showed that the culling will have a critical impact on the genetic viability of the Norwegian wolf population. Hunters already killed at least 6 wolves, before the Oslo District Court stopped the culling of the remaining 46 wolves, after requests from WWF-Norway. This week, Norway’s Minister of Environment Vidar Helgesen, approved the continuation of culling 42 wolves. The government altered their decision slightly, enabling the continuation despite the Court order. The last official counts indicated 52 to 56 individuals in Norway. This is 17% less compared to last year. Another 50-odd wolves live at the border between Norway and Sweden. Meanwhile, Sweden provides a home to over 350 wolves. The wolves in Norway are classified as critically endangered, according to the Norwegian Biodiversity Information Centre; and the Norwegian parliament has decided that Norway must have a sustainable wolf population. The planned wolf hunt will eradicate almost all Norwegian wolves. The Norwegian government is acting against international obligations under the Bern Convention, as well as breaching Norwegian law and decisions made by the parliament. states Friends of the Earth Norway. In response WWF Norway is suing the Norwegian state for the second time in a short time span. Suing the state is demanding in many ways but we feel that we do not have a choice, considering the current Norwegian wolf management. We need a sustainable management that ensures the wolf population in the long-run while at the same time initiating mitigating measures to reduce conflicts between wolves and grazing animals. said Ingrid Lomelde, Policy Director at WWF-Norway. Killing wolves is not a problem-solving method. With the hundreds of wolves in neighbouring countries, wolves will continue to wander into Norway. Although Norway is not the only country that allows wolf culling, the percentage to be killed is by far the highest in Europe. 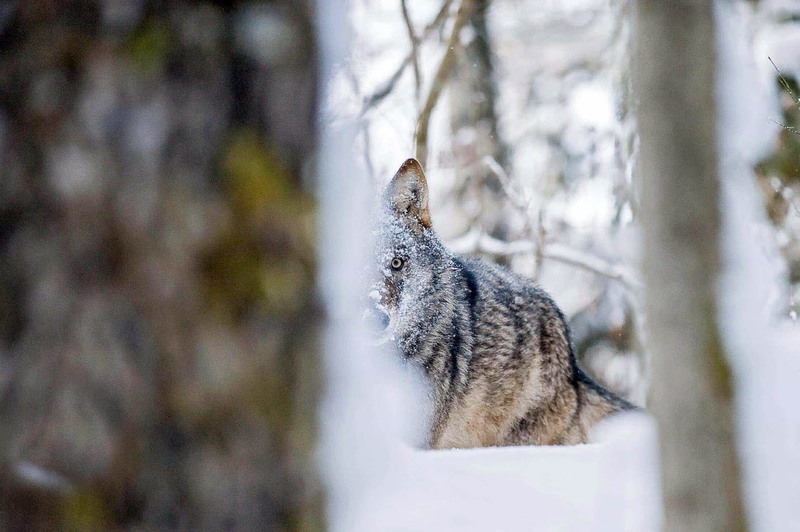 Instead of killing them, Norway could welcome the wolves and adapt to this predatory species. Proper herd management techniques are effective in minimising conflicts significantly across Europe, like in Germany and Switzerland. I am so embaressed that the Norwegian state still allows wolf and lynx hunting on such scarce animals in Norway. I hope the European parliament can put on some pressure to stop this hunting that has been going on too long. Both very surprising and very disappointing that such a civilised country as Norway will resort to such simplistic ‘solutions’ for such a small problem, particularly after seeing David Attenborough’s BluePlanet 2 on Sunday evening, where we were told how a very sensible Norway had managed it’s herring fishery in such a responsible fashion (after a policy of killing Orca’s! ); so much so that it’s a viable industry again, after a long term ban on fishing and, not killing the herring predators! How then can the same country apply such uncivilised and worse, unscientific, methods to control a few apex-predators, the very sign of a healthy environment? Shameful and very irresponsible, in the 21st century! How can we prevent this immanent killing? this is insane! Sweden might protest as well, as their protected wolves are in danger too!